The site of the round tower monument here was founded in the seventh century by St Mochua. It stands today at over 27 metres and the tower has a raised doorway and four windows at the top, which face towards compass points. Visitors can enjoy an interactive exhibition as well as the surrounding gardens on site. Amenities: There is a café, shop, toilet facilities and a car park. The site is fully accessible to wheelchair users. Opening hours and costs: The site is FREE to visit and is open weekdays from 9am-5pm and weekends 9am-6pm. Leader of the 1916 Rising Patrick Pearse lived here and ran his Irish-speaking school for boys, Scoil Éanna from 1910-1916. 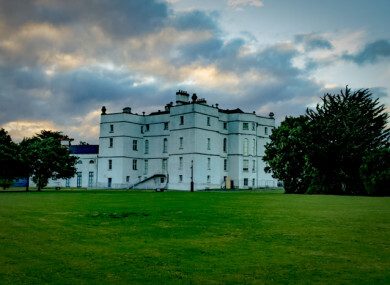 The museum is located within the large parklands and visitors can learn about the lives of Patrick Pearse and his brother William before both were executed in 1916. Tours are available on request. Amenities: There are toilets, a café and car parking facilities on site. The site has full wheelchair access. Opening hours and costs: The museum is open from 9.30am-5.30pm Monday-Saturday and Sunday 10am-5.30pm. The park is open daily from 9am-9pm. Entry to the museum and park is FREE of charge. Dating back to the Elizabethan period, the castle was built for Archbishop Adam Loftus. Loftus later became Lord Chancellor of Ireland and was closely involved in the establishment of Trinity College. There are exhibitions and visual art on display for visitors to enjoy. Amenities: There are toilet facilities and a car park, as well as a tearooms on site. The castle has wheelchair access. Opening hours and costs: Tours cost €5 per adult, €4 for senior/group, €3 per child/student and €13 for a family. The site is open daily from 9.30am-5.30pm. The Hellfire Club was originally built as a shooting lodge for politician William Connolly in 1725. It is said that when building the lodge, workmen destroyed two large tombs and used the stone for building. According to local folklore, this brought on supernatural occurrences at the site. Amenities: There is a car park on site. The terrain on site is unsuitable for wheelchair users and there are no facilities. Opening hours and costs: The site is FREE to visit and open daily from 7am-9pm. The Irish cultural centre here celebrates the Irish language, as well as traditional song and dance. As the headquarters of Muintir Chrónáin, the centre is located in a Georgian house and there are gardens for visitors to enjoy on site. Amenities: There is a car park and toilets on site. There is full wheelchair access to the site. Opening hours and costs: The centre is open weekdays from 9am-4.30pm. Thanks to South Dublin County Council tourism office for recommendations. LATER: Top 5 must-sees in Tipperary. Email “Your summer in Ireland: 5 must-see sites in South Dublin”. Feedback on “Your summer in Ireland: 5 must-see sites in South Dublin”.